Once you purchased a hosting account with GVO, we will provide you with access to freshly setup Web Hosting Manager (WHM for short), so you could create an account and develop your websites. A hosting package is simply a set of functions, limitations and resources every cPanel account may have within a Reseller Hosting Account. Basically, having different packages with a different set of functions and limitations allows to provide a range of hosting accounts based on particular features. NOTE: It is recommended to configure a hosting package prior to creating a new cPanel account in WHM to simplify further cPanel accounts management process. In this tutorial we will take a look at cPanel creation in your WHM. cPanel is a most popular web-based control panel.It allows using a graphical user interface (GUI) to manage any aspect of your website. With the cPanel, you have complete control of your website without depending on website developers. With the cPanel, you now can manage the important aspects of file management, FTP, backups, mail system (including spam filter and autoresponder, email account forwarders and mailing lists) domain and sub-domain control, error page management, password protection of web folders, statistical information, users management, Cron Jobs, Leech Protection, HotLink Protection, SSL Manager, Network Tools, and MySQL database administration. 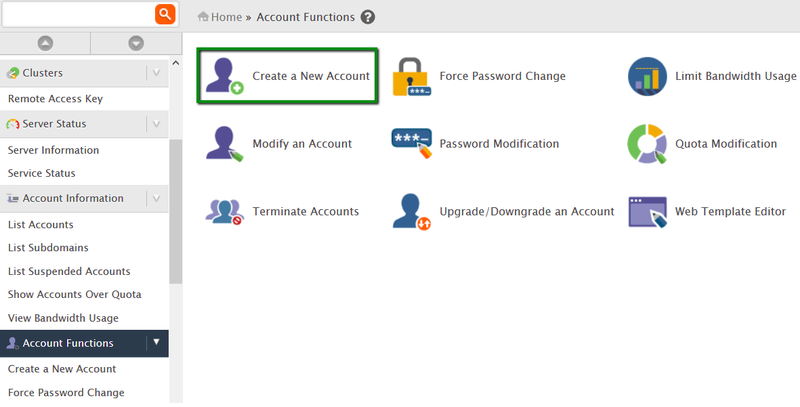 WHM allows easy creation of accounts in Accounts Function -> Create New Account menu. Username: enter the username you are assigning to the account or leave the one created by default. Password: enter the password you are assigning to the account; pay attention to password strength indicator, it must be at least 70 to proceed. Password is case sensitive. Email: here you need to specify contact email address which will receive server-side notification, like when you reset the password for your account. You can leave it blank. cPanel theme: select the theme that will be used by your new account. By default only paper_lantern is available. By default check-box should be unchecked. Local Mail Exchanger: this option will configure the server to always accept mail locally whenever it is sent from the server or outside the server, select it if you wish to use your cPanel email service. We strongly suggest using this one by default. Once you order hosting service, you can start creating your own website. 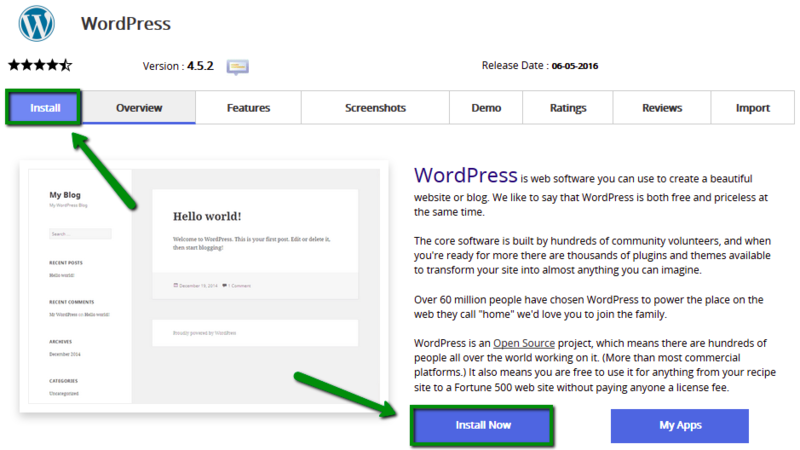 Using Softaculous automatic app installer you can install WordPress in a few clicks. Log into your cPanel. If you are not sure, please refer to our guide here How to log in to WHM/cPanel. Hint: Start typing ‘Softaculous’ in cPanel search field to find it quicker. On the next page you will need to fill out the details of your WordPress installation. 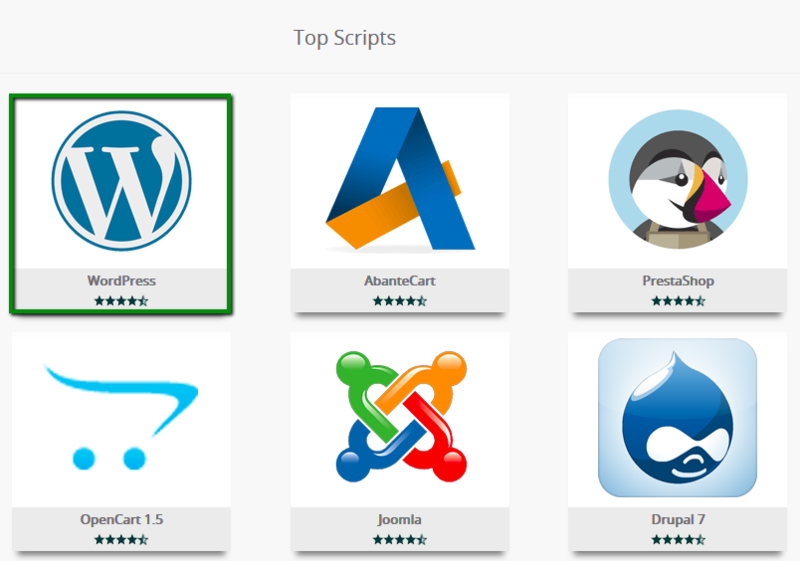 In the In Directory field you can specify the root folder for WordPress installation. By default, this field is empty, and it allows installing WordPress on yourdomain.com directly. If you wish to install it to a subfolder, like yourdomain.com/blog, simply type "blog" in this field. Database Name can be left default. Table Prefix can also be left default wp_; however, due to security reasons it is better to change it, e.g., to gvsite_. The Site Settings section should be filled out accordingly to your needs, though you can change it anytime later if required. IMPORTANT: Make sure that ‘In Directory’ is blank! Once you are ready, scroll down and hit Install. 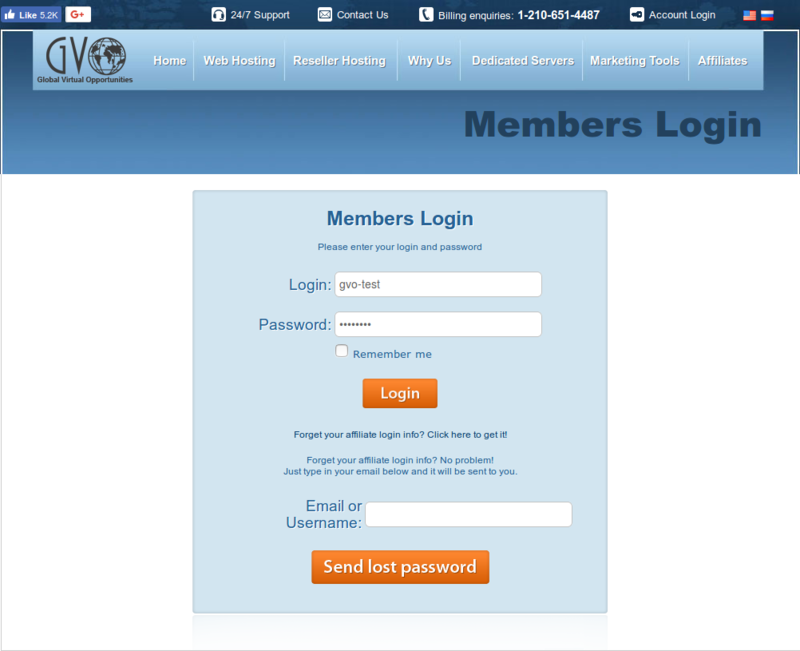 Now you should be able to log in using access details you specified and start developing your website. There are 2 main ways to upload files to your cPanel. Using FTP client like Filezilla. To get to that option you should enter cPanel and then click on File manager icon. You can click on ‘+’ to check folder structure or double-click folder to see it contents. Navigate to proper folder. In our case we will be uploading file to /home/ folder directly. You can drag and drop files to marked area or click ‘Select file’ button, options are the same. Once file upload starts you will be able to see progress bar, it will turns green when upload is complete. Click ‘Go back’ to open File manager main screen. That is it for File manager basics. Host - domain name or website IP address. 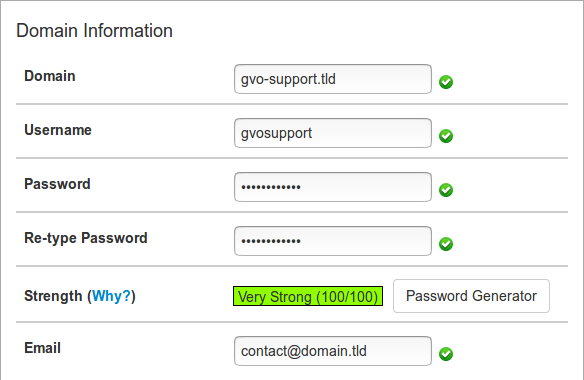 In order case it will be gvo-support.tld and 71.40.108.99 respectively. Port - FTP port number, it will be 21 for any account. Once connection details specified click ‘Connect’. NOTE: probably Filezilla will show you ‘Unknown certificate’ warning. It is safe to accept it and click ‘Ok’. Make sure that checkbox ‘Always trust this certificate’ is checked. Now you can easily upload files from ‘Local site’ (your local machine) to Remote site (hosting at GVO) by dragging necessary files. Process pretty straightforward and intuitive. 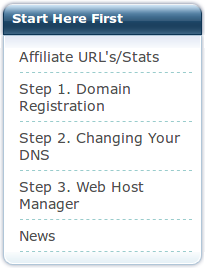 Once you purchase any hosting package, option to Log in to your Webhost manager will be activated. Click ‘Step 3. 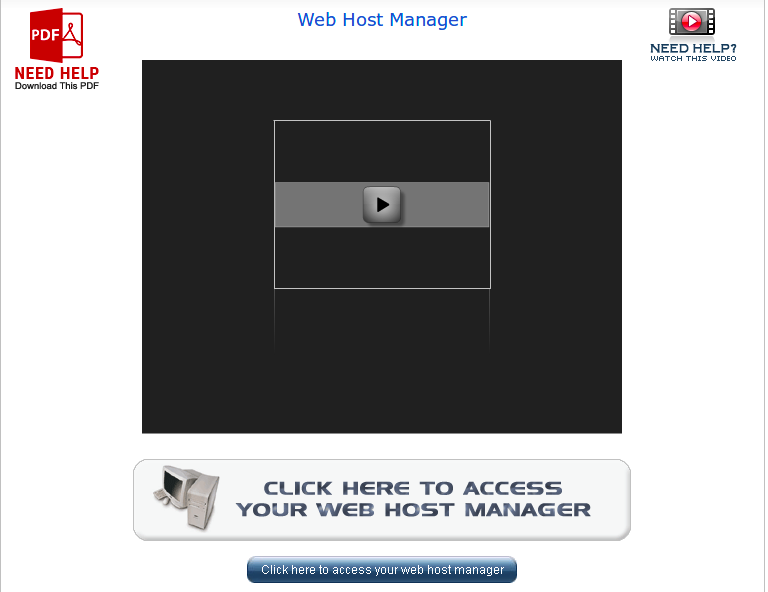 Web Host Manager’ option. Press that button and you will be redirected to the main WHM interface. In WHM you can add Resource package, Create cPanel How to create cPanel. If you already have cPanel accounts created, you can log in to any account in List accounts option under Account information tab. Just click on orange ‘cP’ icon to enter proper cPanel account. With our Hosting packages we provide access to WHM panel. However, our clients have restricted rights in WHM comparing to Dedicated Servers WHM (root user rights), so some functions are not available for them. Let us take a look at user’s structure of WHM/cPanel. cPanel access : that is most limited server type access. With cPanel access, user is usually allowed to manage only single domain and related services (DNS, email accounts, etc.). cPanel accounts can be easily created by users with Reseller access to server. The connection was reset. The connection to the server was reset while the page was loading. That means that your local computer most likely is unable to reach server due to your local IP-address being blocked on server firewall. Copy that IP-address and open chat window with our support team or submit a ticket with subject “My IP-address is appears to be blocked” and include IP-address you get at step 1 and any domain name in your WHM. That will allow us quickly locate your account and check why IP-address was blocked and remove block. Fill out necessary fields with desired Mailbox name and Password (make sure that password strength is at least 60). You can set any amount of disk quota for your mailbox. It could take up to 1-2 minutes to create mailbox. System will show you green confirmation message once mailbox creation is complete. Sometimes you need to make a backup before attempting to change something on website, or just to keep fresh copy of it just in case. In this tutorial we will describe how you can easily and efficiently do that. In cPanel start typing ‘Backup’ or navigate to Files tab. You can see 2 icons: Backup and Backup wizard. We will take a look at each below. Backup option is general option with all types of backups presented. 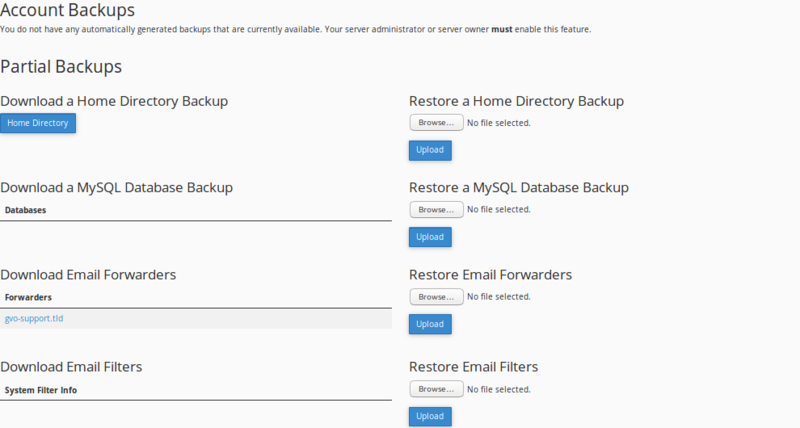 If you do not need a full cPanel backup, you can choose option to ‘Download a Home directory backup’ (that will archive only files of your website WITHOUT database) or ‘Download a MySQL Database backup’ (this option will archive ONLY databases, without files). Options ‘Download email forwarders’ and ‘Download email filters’ are pretty straight-forward and allow you to make a copy of ONLY email forwarders and email filters respectively. Backup wizard option will launch backup creation assistant, which will help you choosing what files you should backup in three easy steps. However, all options are identical to ones in Backup option. In this guide we will take a look at error 509 and how to fix it properly. This is a generic error message that appears when the website where the message is shown has reached its traffic limit (data transfer) defined. 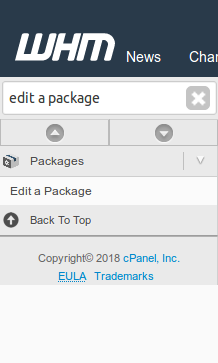 Navigate to ‘Edit a package’ option under Packages tab. If you are not sure where it is, please start typing ‘Edit a package’ in search field. Make sure that Bandwith is at least 30 000. Increase it even further, if necessary. That is it, you successfully increased bandwidth limit for your website. Reload page and error message will be gone. In this guide we will know how to install a SSL-certificate on your domain. First thing you need to do is to generate a CSR (Signing Request). CSR is required before you can even attempt to purchase a SSL-certificate, your vendor will use CSR to generate certificate. Private Key Options: there you can choose encryption key size, 4096 bit size is better. System will send it to email address that you have specified above in .key file. Email: this should be a valid email, your vendor may try to reach you to double-check that you are domain owner. System will generate CSR file and your private key file and send it to email, if you have specified one. IMPORTANT: please save your private key file in safe place and do not show it to anyone. If it is leaked, your website will be vulnerable. IMPORTANT: CSR starts with -----BEGIN CERTIFICATE REQUEST----- and ends with -----END CERTIFICATE REQUEST----- lines, if you need to copy CSR you have to copy that lines as well. Now you have a CSR and can go to your SSL-certificate vendor to obtain a certificate. Once you get the certificate, please log in to your WHM again and navigate to ‘Install an SSL Certificate on a Domain’ option. There you should be able to install it. IMPORTANT: if system will fill out information automatically, you should replace it with info that your vendor provided. Specify domain name in Domain field. Copy and paste the contents of the .crt file your vendor provided you. Copy and paste the contents of the .key file that you have generated during CSR generation. IMPORTANT: for the purposes of this tutorial we are using self-signed certificate, that is why you can see warning message on the screenshot. If you obtain certificate from third-party vendor, there will not be any warning messages. That is all that you need to do to install SSL-certificate on your domain.